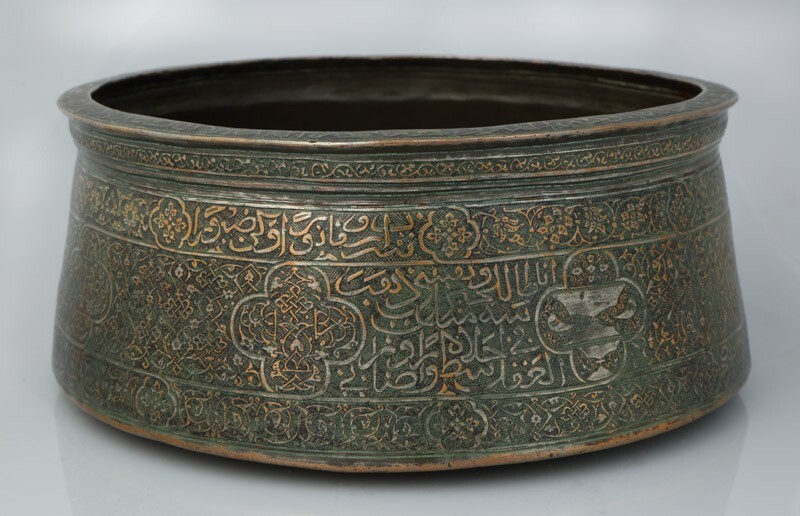 With its intricate knot work, inscribed medallions, and blazons this bowl sums up the decorative repertoire characteristic of Mamluk metalwork produced for the export market. The verses decorating the rim and the body refer to drinking. Purchased with the assistance of the V&A and the Friends of the Ashmolean Museum, 1982.